Patrick Wolff will present a night of original music leading a trio with bassist John Wiitala and drummer Hamir Atwal. Diana will be playing an acoustic set to open the concert. Patrick Wolff is a saxophonist, composer, bandleader, and educator, originally from New York, and currently residing in San Francisco. As a composer, Wolff blends melodies and forms from a broad base of folk traditions and his own experiences with the advanced jazz conceptions of composers like Andrew Hill, Ornette Coleman, and Booker Little. His music reflects a great reverence for jazz tradition, a high degree of attention to melody and feel, a non-traditional approach to structure and form, and an advanced awareness of sound. His saxophone playing is an extension of these principles and has been praised for its warmth, originality, and focus. Wolff has worked with many of the most exciting local bandleaders, including Graham Connah, Marcus Shelby, and Andrew Speight, and currently leads the trio with bassist John Wiitala and drummer Hamir Atwal, as well as a sextet with the same trio, trumpeter Erik Jekabsen, pianist Adam Shulman, and saxophonist Andrew Speight. The trio and sextet have recorded two records, "Your Obedient Ghost” and “Noose of Light”. As an educator, Wolff has taught privately for 14 years and worked on the faculty of the Stanford Jazz Workshop for 12 years. Diana Gameros is a Latin singer/songwriter who performs songs of love, longing, and hope. Originally from Ciudad Juarez, Mexico and now living in San Francisco, Gameros creates authentic, inspiring music that reflects the 21st century experiences of a young indie artist at the borderlands between cultures, languages, and genres. 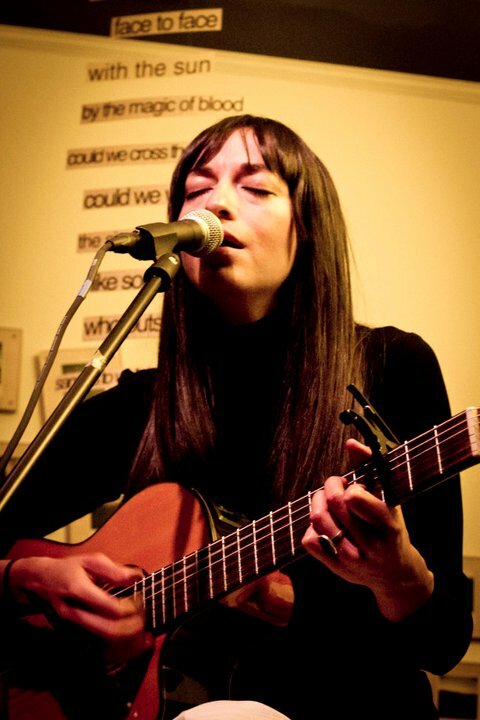 Whether teasing every ounce of expression from her acoustic guitar in an intimate cafe or bringing people to their feet in a club with her dynamic full band, Gameros transfixes listeners with her soaring vocals, impressive playing and captivating stage presence. Diana's will release her first studio album on November 24th, 2013.